Retailing for $39.99, the Deluxe Edition will contain an exclusive hero and DLC. Petroglyph’s Conan Unconquered, a survival real-time strategy game, will release for PC on May 30th. 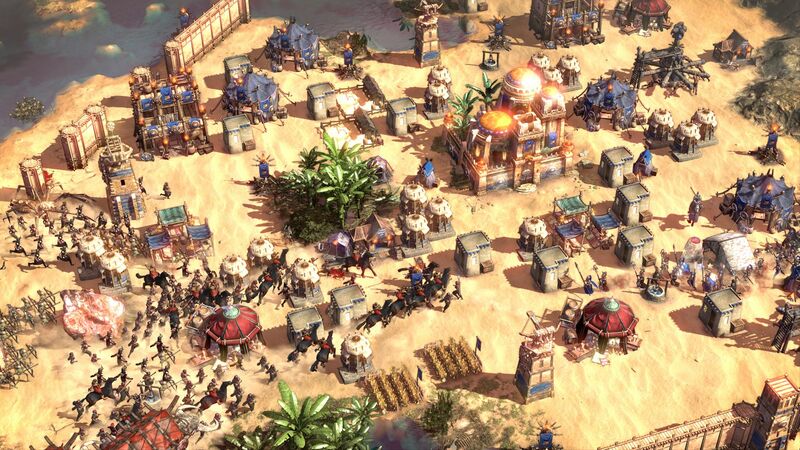 Developed by veterans of the Command & Conquer series, it sees players scrounging up a stronghold in the desert and fighting off endless waves of progressively tougher enemies. Players will have Legendary Heroes, an avatar, and much more to help them out though. Conan Unconquered will be available in two editions: Standard and Deluxe. The Deluxe Edition retails for $39.99 and contains the base game, an exclusive hero Kalanthes, an exclusive DLC with the King Conan hero unit, the OST, and the Conan Unconquered ebook based on the short story “Black Colossus“. Overall, not a bad deal. Along with fighting off waves of foes in procedurally generated maps, players can also explore the map for ruins of special power. Co-op is also supported, allowing two players to build a stronghold and fight together. Conan Unconquered is available for pre-order on Steam – stay tuned for more details en route to release.